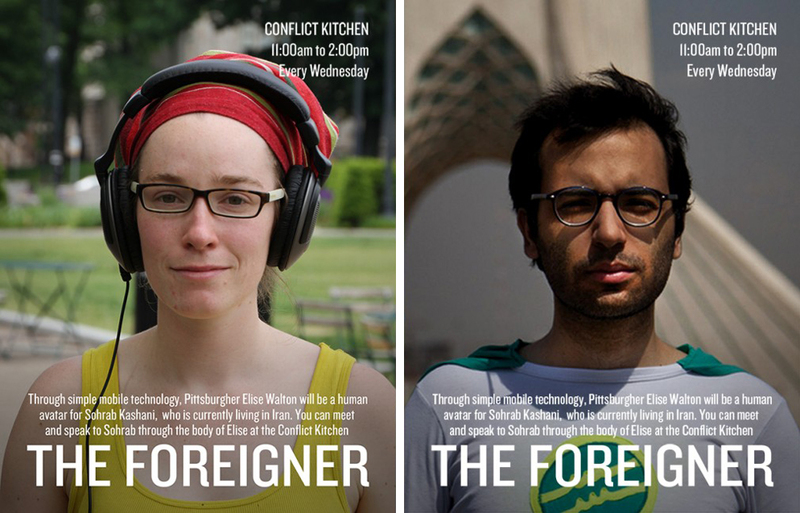 Each Conflict Kitchen includes events, performances, and discussions that seek to expand public engagement with the culture, politics, and issues at stake within the focus country. The restaurant rotates identities every few months in relation to current geopolitical events. For example the focus started in 2015 was on the food, culture, and politics of Iran. The food comes packaged in wrappers that include interviews with Iranians on subjects ranging from culture to politics. The thoughts and opinions from the interviews and programming are often contradictory and complicated by personal perspective and history. These natural contradictions reflect a range of thought within each country and serve to bring about questioning, conversation, and debate with customers. Previous focus countries have included Afghanistan, Cuba, North Korea, Palestine, and Venezuela. Engage the general public in discussions about countries, cultures, and people that they might know little about outside of the polarising rhetoric of governmental politics and the narrow lens of media headlines. Customers eat food from other countries. 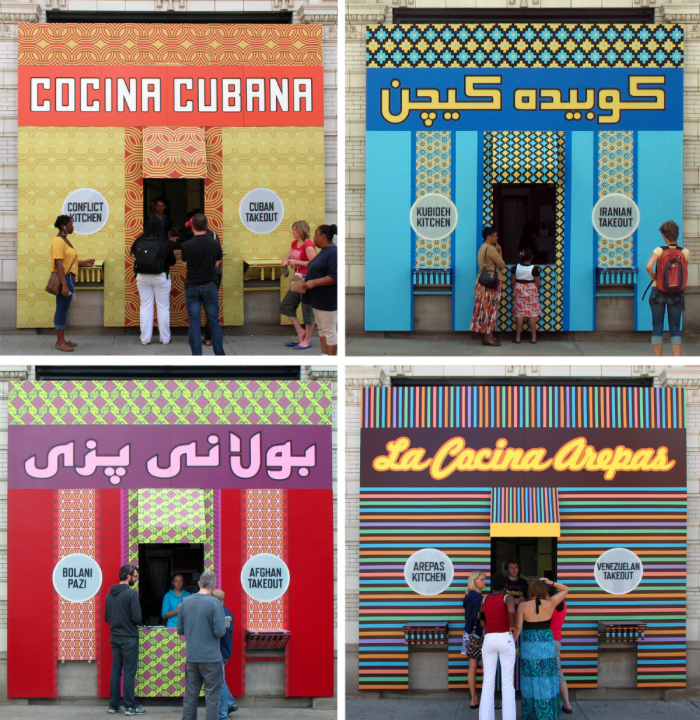 It has presented the only Iranian, Afghan, and Venezuelan restaurants the city has ever seen. Questioning, conversation, and debates have been ignited. Jon Rubin, Dawn Weleski, staff, and customers.